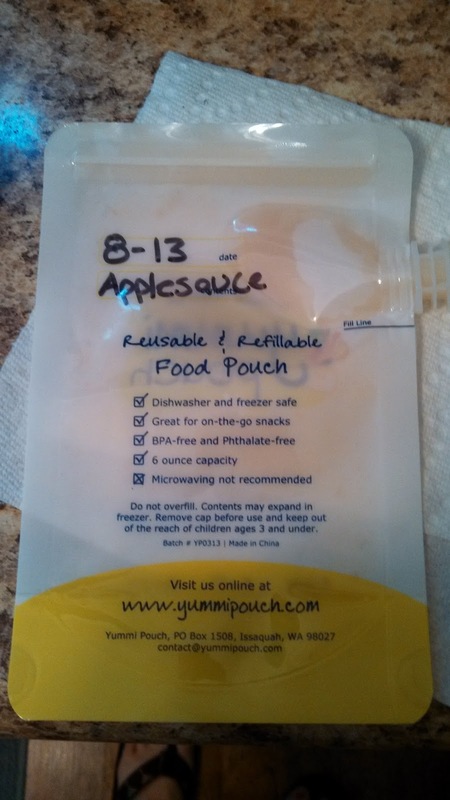 The Yummi Pouch is one of my favorite inventions! 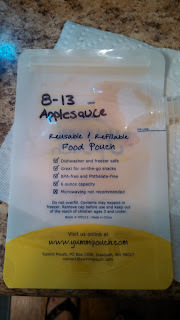 They are reusable food pouches that you can easily add pretty much anything to. 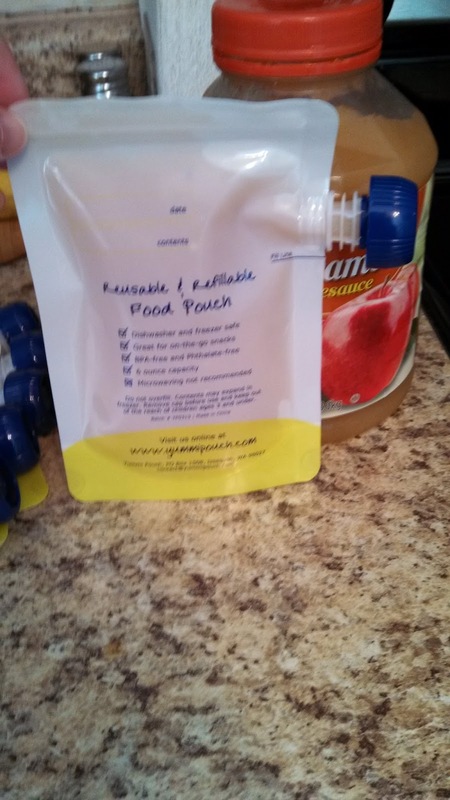 This is great for on the go snacking, picnics, visits to the beach, etc. 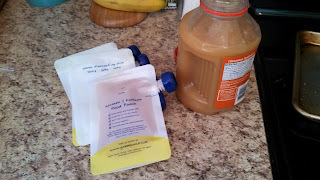 I filled mine with applesauce and then labeled them. I really like the fact that I can label each one and date it. 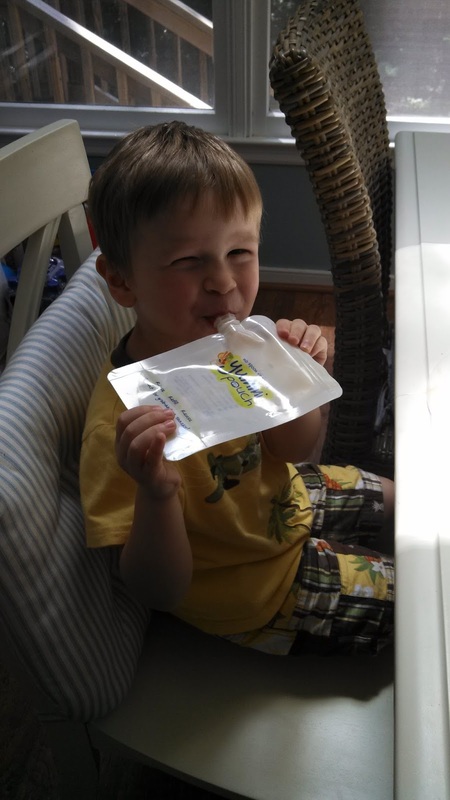 Best of all they are BPA free and dishwasher and freezer safe! 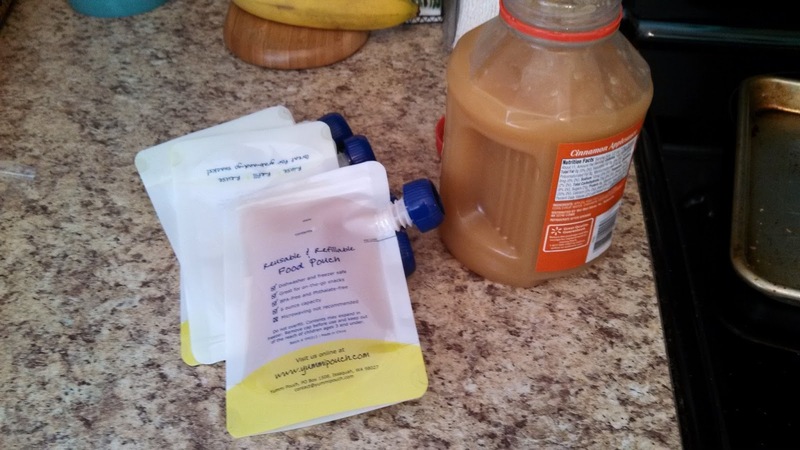 For some fun fruity recipes check out their website! These are so affordable costing just $14.99 for 6 pouches. You can also buy the super cute bright pouches. My son really loves them and they are mess free!